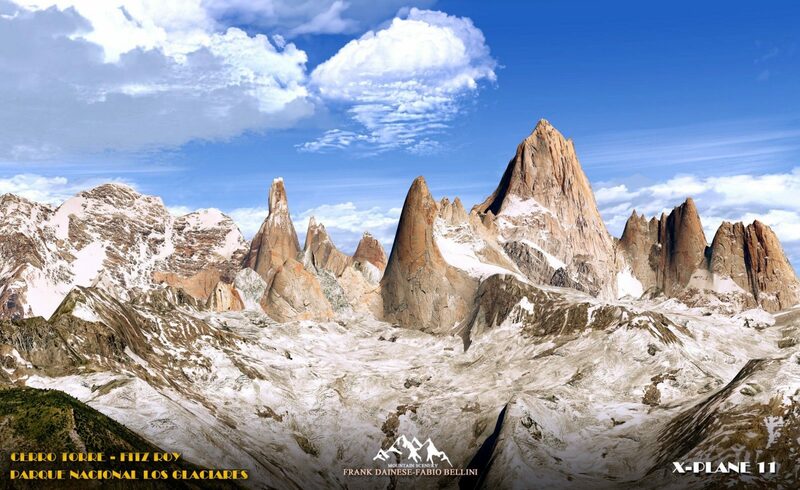 Hot off the release of their Everest Park 3D earlier this month, Frank Dainese and Fabio Bellini announced that they have already started work on their next project. After enjoying their time in mountainous regions, the team are returning to that type of terrain. 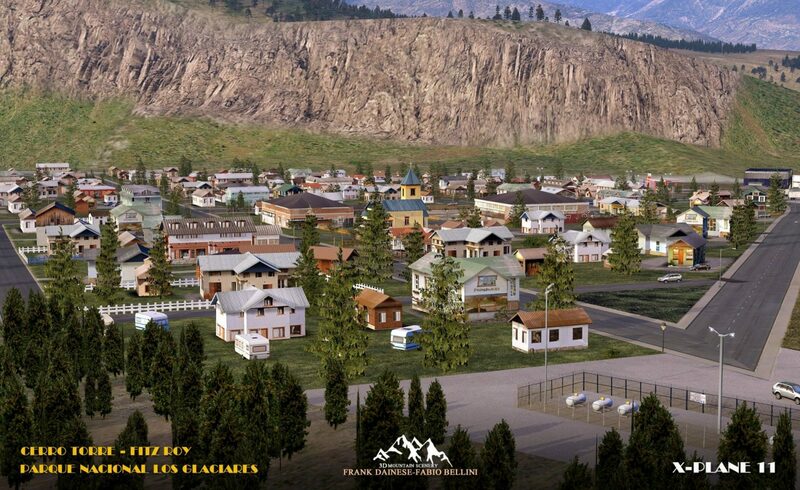 Announced today via HeliSimmer, the development of Cerro Torre and Fitz Roy for X-Plane 11. In total, the region will be around 500 SQ KM in size, and feature both mountains previously mentioned at their accurate altitude. 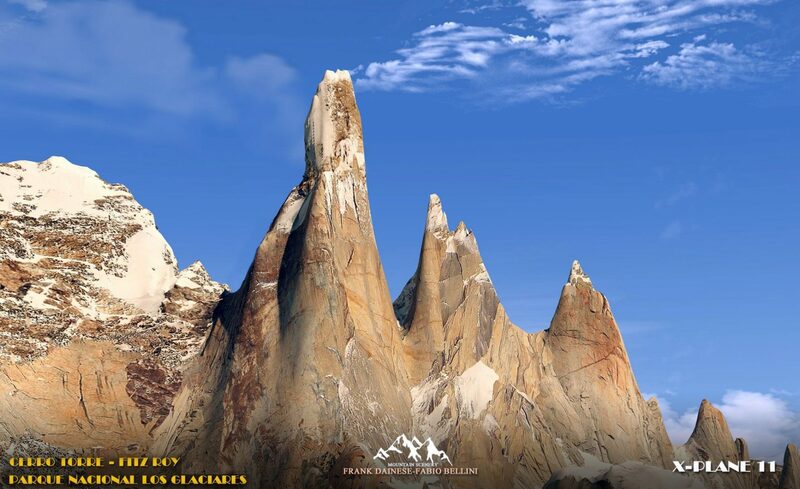 Both Cerro Torre (3,128 meters / 10,262 feet) and the Fitz Roy (3405 meters / 11,171 feet) have been custom designed for the simulator for maximum realism. 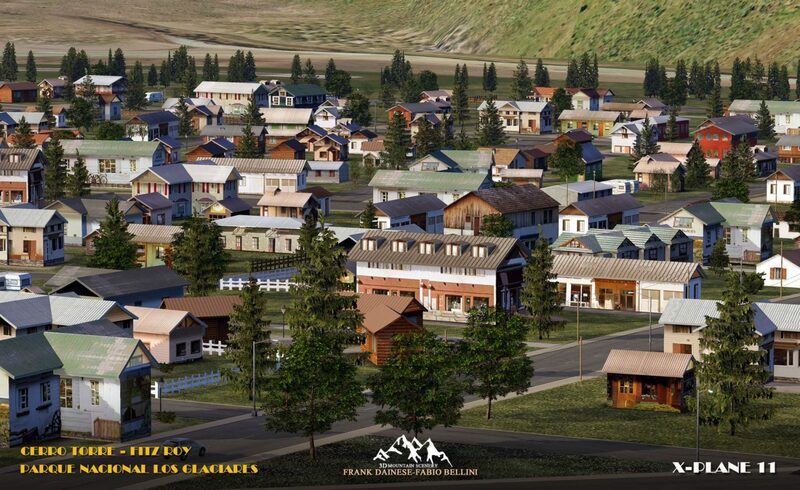 Furthermore, the town of El Chalten will be recreated, along with a fictional town featuring several helipads (no wonder HeliSimmer broke the news so quickly). There is no release date other than it won’t be until 2019. However, the in-development previews already show great progress of how things are currently coming along. 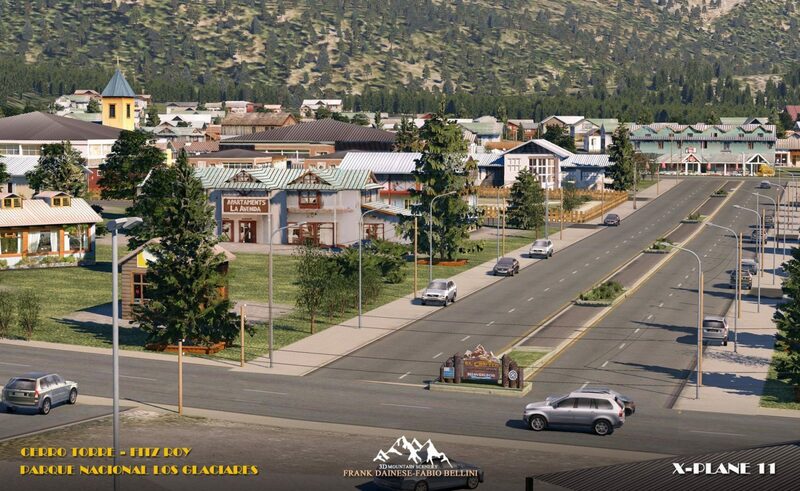 They have also made Monument Valley (sold by OrbX), Mattherhorn 3D park and the recent Lukla/ Everest park. I have been able to test both of them, and so far, I find that they are nice sceneries, but pretty inacurate ! There are parkings/ rwy wrongly numbered/ labelled, the houses / some roads etc are totally not at the "real" place (ver visible on Lukla, some important buildings are missing, some are totally at the xwrong place, the parking have the wrong numbers, the taxiway is the wrong size etc ! They even created some stuff that is absolutely not there IRL (I just compared satellite picctures), and the textures for some stuff is awful (Monument Valley for XP is really bad, even more if you can compare with the P3D equivalent on IOrbX ! ).